I know what you’re thinking. Richelle? Arrested?! What could I have possibly done to get arrested? Well, not only was I detained by the police, I was also scammed out of $45 too. I know I’ve been alluding to this story in my past monthly recaps, and I’ve been getting a lot of crap from people for not sharing it yet. Sometimes you just have to wait a few weeks for things to be funny rather than cringe-worthy. Well, I think it’s been long enough. Here is the epic tale of how I was scammed out of $45 and then subsequently arrested. I had just returned back to China after spending Christmas in Seattle. I needed to pick up a few toiletries at the Watson’s near work, and as I went to pay the woman behind the counter told me my 100 yuan note was fake. Fake?! I handed her another one. Also fake! I ran back to the office and told my coworkers about my fake 100 notes. To my surprise, half of them had received fake money before. I’d been in China for about 3 years on and off and had never encountered fake money before. How do you even get a fake 100 anyway? It’s the highest note! The fake money had to be from the ATM near work. It was the only place I received 100 yuan bills. There’s no way I would have gotten 100 yuan notes in change from anyone, and no one paid me any money in cash recently. Apparently, if a bank ATM gives you fake money, it’s up to them to reimburse you, so I headed to the bank. The bank pulled me into a back room and questioned me about where I might have received the money. Did your friends give you any money? Did a taxi driver give this to you? No. No way. Why would I get money from a taxi driver?! They explained to me that if the money was from their bank, they would reimburse me, but if not it just wasn’t their problem. They checked all of the 100’s in my wallet and found three that were fake (roughly $45 USD). Then they checked the serial numbers on my last ATM withdraw and, of course, none matched. “We have to confiscate this money now”, they explained to me. Wait, what?! $45 down the drain with no reimbursement? I argued with them, but there was no point. I was never seeing that fake money again. “We can call the police and report it. They might give you some sort of reimbursement,” the kind English-speaking teller suggested. I agreed, and sat to wait for the police. Of course, after the whole ordeal and the frustration of losing $45, I was a bit upset. I may or may not have started crying. I have this tendency to cry when I get frustrated or angry, which is not so great for getting people to take me seriously… but thankfully it also makes people really nice to me? As I was waiting, the man came back with some tissues and gave me a 15-minute lesson on how to tell if money is fake. He showed me my old bills, where the small 100’s lacked the shimmery green-to-grey element and the silver strip clearly looked painted on. He also taught me to feel for the raised bumps on Mao’s hair, which are lacking on most fake bills. Finally after a solid 45 minutes of waiting, two policemen arrived. I had no idea where I got the bills. Sometimes I buy things online for my friends, but I couldn’t think of anything I had bought recently. It didn’t help that I had just spent the last 2.5 weeks back in the US. The policemen asked for my passport to file the report, but I had left it in my office across the road. I gave them my passport number instead, and they used my drivers license to verify the name. Eventually, I realized something was wrong. I did the only thing I could think of: I went from completely fluent, to forgetting any and all Chinese in a matter of two seconds. I do this all the time when I want to fend off creeps at the bar or avoid lengthy conversations. The police pulled in the nice teller who spoke English to try and get him to translate. Fortunately, his English wasn’t that good, so I was able to use extremely complicated phrasing, grammar, and vocabulary to confuse the crap out of him. After a few minutes, he gave up. My problem is that I’m currently working on a Business Visa which is technically illegal in my case. You can work in China on a Business visa as long as you’re being paid by a company outside of China. For example, if I’m working for a company in America, but they station me in China for six months, I can feasibly work here as long as the US company is footing the bill. Unfortunately, that’s not my situation. I’m working for a Chinese company getting paid in RMB to my Chinese bank account. Chinese visa laws are ridiculously strict, especially in places like Beijing. In Ningbo, all I needed was a college degree and a TEFL to get a job teaching English. In Beijing, you need five years of experience on top of that. For a college counseling job, I need two years of experience as a college counselor outside of China. My company was able to lie for my co-workers and makeup paperwork verifying their fake jobs back in the US. But unfortunately for me, I moved to China the month after I graduated college and I have nine visas in my passport to prove it. So here I am on a Business Visa. For those of you freaking out, this is SUPER common in China. I did research for an article on how the ESL industry in China is changing and learned that data from the Bureau of Foreign Experts Affairs suggest that the current Chinese market needs at least 100,000 foreign teachers, while there are only 30,000 foreign experts legally recognized by mainland China. Basically, what I’m doing is technically illegal, but extremely common. Regardless, I wasn’t about to admit it to the police. I don’t want to get deported! After confusing the crap out of literally everyone, the police decided that I needed to come with them if I couldn’t get my passport ASAP. Cue a panicked group WeChat message to my co-workers begging someone to run my passport to the bank. After a few minutes, the police decided they were done waiting and commanded me to come with them. “Wait! Wait! My coworker is bringing my passport. She’s coming!” I tried to explain. As they were just about to drag me out the door, my coworker came running in, passport in hand. Rather than releasing me, they commanded both of us to get in the cop car. I started crying as they unceremoniously threw us in the back of the cop car. I can’t tell you how scary it is to have no idea what is going on, especially when you’re dealing with the police in another language. I had no idea why I was in trouble. For all I knew I was getting deported! My coworker comforted me and started asking the police what was going on as we drove away from the bank. They refused to answer, telling us it would all be explained at the station. They walked the two of us to a set of elevators and proceeded to lock us in a room where they took both of our passports. We could see them arguing outside, but neither of us could hear what they were saying. They were holding my passport, pointing at my visa and yelling. Oh god, I’m getting deported. Eventually, the police re-entered in the room to give my coworker back her passport and explain why I was being detained. Apparently, I had forgotten to register with the police on coming back from the US. We decided to call a second co-worker who is in charge of my visa situation to come and clear up the mess. When he arrived, my co-worker explained I was just some confused foreigner who didn’t know I needed to register. We were released on the condition I come back and register the next day. We didn’t even have to pay a fine since I had been in Beijing less than three days! When you visit China you need to register yourself so that the Chinese government knows exactly where you are staying at all times. If you stay at a hotel or hostel, they’ll do this for you when you check in, but if you’re living in an apartment it’s up to you to do this yourself. I had always been accustomed to my job or school taking care of this for me, so I never even thought about it! Even when I lived in an apartment in Beijing 2.5 years ago, my real estate agent grabbed my passport and did it for me. Every time you change apartments, you need to go to the police station and register your new accommodation. Also, if you don’t have a residency permit (aka me), you need to check back in with the police every time you come back from leaving the country. The idea is that you’re supposed to register within 24 hours of arriving back in China, but you officially have three days just in case you can’t make it to the police station straight away. Since I was within three days I didn’t even have to pay a fine! So, did my company just forget to help me register? Not exactly. Due to the insane bureaucracy of China, different officials are only allowed to check certain information. The guy in charge of getting me my visa was hoping that if I didn’t register myself in Beijing they would be able to convince the foreign expert’s bureau that I had been in the US for the past few years. This is because the Experts Bureau only checks the registration, not my official passport… I think? I’m still confused and apparently, this isn’t even the case since I still don’t have my residence permit. The visa expert at my office promptly called my landlord and had a fake lease drafted saying I had just moved into my apartment two days earlier, even though I’d been living there since September. This was to avoid any suspicion as to why I hadn’t registered previously. My landlord was more than happy to do it, and I brought the documents into the police station the next morning and registered with no problem. Yep, that’s right. My landlord created a fake lease for me with no hesitation. Welcome to China. Where Did I Get the Fake Money?! Now for the real mystery: Where the hell did I get three fake 100’s?! It wasn’t until later that night that I finally figured it out. I was researching fake money scams in China when it finally dawned on me: I got it from a taxi driver. A week before heading home for Christmas I spent a night out in the Sanlitun area. I shared a taxi home with a friend and we dropped him off first on the way back to my place. The total bill was about 70 RMB and I handed him a 100 note. “No! No! No!”, he exclaimed, handing it back to me. I figured he wanted smaller change, but I didn’t have enough to give it to him. With the first hundred still in my hand, I gave him another one arguing I didn’t have smaller change. He took it for a moment and again, refused to accept it as payment. I’ll admit, it was very late and I was a bit tipsy, but I was far from drunk. I sat there as he leaned into the backseat to look inside my wallet. He took out two hundred and I immediately snatched one back. He took a look at the first note and then switched it for the second one in my hand. I left the cab in a state of utter confusion. I couldn’t tell if I had been scammed or not. I should’ve written down his plate or taken the receipt. I was sure he must’ve grabbed an extra hundred out of my wallet or something. It wasn’t until I found this post, that I realized what had happened to me. How did I not realize what was happening? How did I let him do it to me three times?! Had he claimed my money was fake, I would have been able to recognize what he was doing. However, he probably assumed I didn’t speak Chinese, so he just kept yelling “No!” at me with no explanation. I had no idea why he was rejecting my money! I was also sitting directly behind the driver, so there was no way I could see him switching the bills on me. But still, no excuses. I let this guy switch three 100’s on me like an idiot. Firstly, only get money from ATM’s and reputable money changers, not from people on the street. Secondly, learn how to tell if bills are fake. Always briefly inspect the bills you get from ATM’s and others. The most common bills that are faked are 100’s and 50’s. Fifty yuan notes are much easier to receive, and if this happens to you, I would suggest just destroying the note. It’s not worth the $8 trying to pawn it off on someone else. Thirdly, always take the official receipt from a taxi driver, especially if things get weird. The official receipt is great to have if you leave your phone or another item in the taxi (or even your suitcase like one of my friends). It’s a really great habit to get into, and I always have to remind myself every time. It’s important to note that these money scams are huge in Beijing. I lived in Ningbo for two years and never worried about it, but most of my friends in Beijing have had this happen to them. One of my friends who had only been in Beijing for less than a year was basically an expert. He taught me things to look for that the bank didn’t even tell me about! So, there you go. The time I was scammed out of $45 and then arrested. Thankfully it wasn’t a big deal, I wasn’t deported and it could’ve been much worse. Now I know how to detect fake money, and I sure as hell am not taking any fake money to the bank unless I 100% know I got it from their ATM. I’m also very careful about registering myself every time I come back from abroad. In fact, I just registered myself at my new place today! Have you ever been detained abroad or scammed out of money? Fill me in! Oh.my.god! Richelle, so sorry this happened to you but it’s a good story now looking back haha! But seriously, I would totally have been crying as well. When I was in Beijing I heard a few stories about people being deported or threatened with deportation because of visas. You’re right though, it is so common because the visa rules are sooo stupid- It was two years to be considered a “foreign expert” (stupid name- it’s just a work visa!) when I was there and now it’s up to five! That’s crazy! My international school only employed people who had at least 3 years teaching experience in the UK (when you needed two legally) to make sure there were no visa probs. But one time they wanted to hire this amazing teacher with only 2 years experience. That should meet the requirement, right? No, because she had two “school years” experience not two “calendar years”. It’s so silly. I have no idea what they do now that it’s five years?? I can’t imagine there are enough British teachers with 5 years experience in the UK wanting to teach there. Plus it makes it way more expensive for them because your pay goes up with every year of experience. And the older you are the more likely you are to have a spouse and kids which the school has to pay for all their flights and schooling and medical too! I wonder if they were exempt from it for being an international school as they can’t really do the business visa thing there. I’m going to have to contact some old colleagues now and find out haha! Anyway, so glad it all turned out ok. Stupid, stupid visa rules. And stupid fake money!! I think I’m lucky I never (knowingly!) had any. hahaha no problem. The longer the better! Yeah I thought it was two years too, but my roommate in education says they moved it to 5 years two years ago and same with the guy doing my visa! It’s complete BS because the stricter the rules, the more you have people breaking them. If visa rules were achievable we would all be here legally, but instead you’ve got a bunch of people running around on tourist and business visas. WHEW! Glad everything worked out. Gosh that had to be so frustrating! Yeah the lack of reimbursement and the way the bank handled it was frustrating, but then I forgot all about the money when I was arrested! Yeah at that point you just stop worrying about anything else! Wooooah! That must have been so scary! I’m glad it all worked out in the end. I’ve been scammed in Bali but I managed to catch them out pretty quickly. This was all of 1999 and I wanted to change £100 which was worth one million (1,000,000) Rupiah at the time! I was on my GAP year and travelling solo in Asia so my colleagues had warned me to be super careful with money-changers and to bring my own calculator! I was at an “official” money changing office in Ubud and firstly, their calculator was way off, secondly, one million Rupiah are a lot of notes so I went through them all. One by one! It was a good thing I did too as 50,000 Rupiah suddenly turned to 5,000 Rupiah and there were loads of them, so I counted them out in front of them, got the rest of the correct cash, stuffed everything down my trousers, and legged it straight to my hotel, making sure that the security guard had checked that there was no one following me lol!! Wow! Thank god you knew to check. Sometimes those big bills can be confusing. I felt the same way with Dong in Vietnam, but thankfully I was only taking bills out of the ATM, however I could’ve easily been scammed by a vendor or restaurant. Thank god you checked! Yeah I’m almost surprised you haven’t gotten it, considering how many people I know who’ve only been here a few months and already received a fake 50! Wow, that’s crazy. I spent a week in Beijing and this did not happen to me, thankfully. If this usually happens with 50 and 100 Yuan notes, is it better to use and carry small bills if possible? In only a week I think it would be very bad luck if this happened to you! I read that it’s best to get big bills from the ATM, and then avoid getting yourself into sticky situations with hundreds. Break them only where you can see them, especially at official shops and restaurants. It’s better not to break a hundred with a taxi or a small shop unless you can clearly see your money at all times. Oh my gosh… that is just crazy! I would have been terrified being put in the back of that police car and not knowing what was going on. Thank goodness your colleague was with you as it would have been even worse had you still been alone. But still…. shocking! And I’m glad you finally figured out the mystery and won’t fall for that one again. I’ll definitely be on the lookout for that next time I’m in China too. Yeah I’m so glad I finally figured out where I got that money so I can warn other people! I’m also really glad my colleague was there, thankfully her Chinese is much bette than mine! Haha, I miss living in China! I love how THIS makes you miss living in China. But it is always an adventure right? Oh jeez, that sounds like a frustrating and stressful situation. I guess I’ll need to register at the police station when I’m in Beijing this December too? Ugh! hahaha yeah I will take you to get registered, don’t worry! Yeah Alipay is one of my best friends. I now use Didi Dache all the time! No problem! I’m actually on a completely legal visa now. Working on a business visa was just a short-term thing. The government is definitely cracking down more now than they were before, but it’s still pretty rare to get deported. From what I’ve seen, they don’t really care unless you flaunt it. However, worst-case scenario, there can be big fines, and deportation, which usually means you can’t come back to China for two years. I hope this helps! Hey, i am reading your blog for the very first time and find it interesting and get to know about your trouble time period. This is really tough and terrified situation being put in the back of the police car. I hope everything is fine now. Have a look at my travel blog on our website. I hope you will like it. Thanks so much! Yes, everything is fine now. I didn’t get deported, and still stayed in China for another two years after this! TRY OUR FREE TEACH ABROAD MINI COURSE! 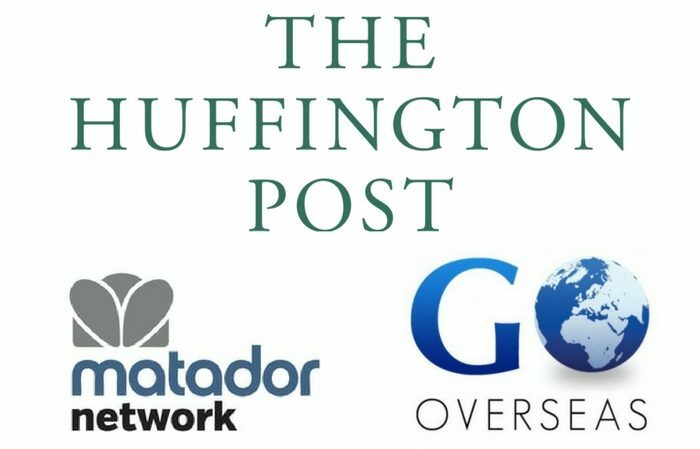 From TEFL's and Visas to salaries and VPNs... 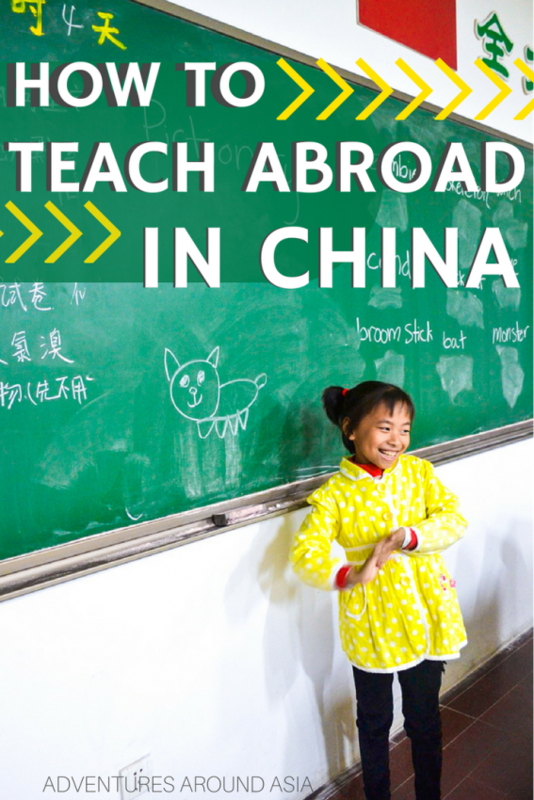 Here's everything you need to know about teaching abroad in China, straight to your inbox!